Just flicking through some of my pics and I realised that this pic was taken 7th Nov. This was a last burst of colour before the on set of winter. This next pic however was taken the other day almost a month apart, check out the sudden loss of leaves, the gunnera has been cut down to cover the crown. There is not much colour left and it all looks a bit vacant. I know we need this time period so all the plants can have a period of rest, so they can give us a better show next year, but it’s all a bit dull right now. It’s cold, wet, windy a dark oh and I have to do jobs around the house. Next post: Fairies to entertain. Where should they live? lol exactly , roll on spring , but then i feel like im wishing my life away. cant win eh lol. Now come on - you have interesting shapes and evergreen structure in there! So it is still interesting. 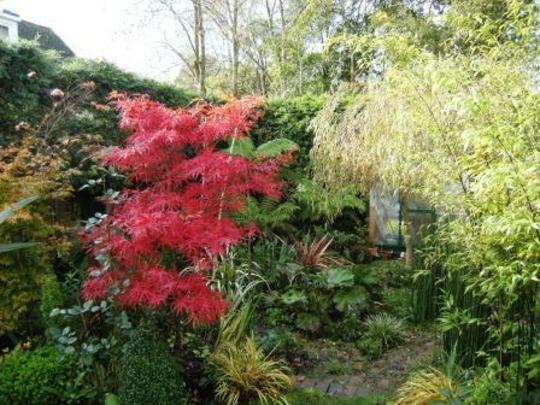 No, not all that colourful, but I see some different shades of green, variegation and a deep red as contrast, so not a write-off to be ignored, Trees. I agree, Spritz. Looks very good to me for the time of year. There's a good variety of colour. If we didn't have a winter, we couldn't have a spring. Does that sound optimistic ? Your garden looks attractive whatever the season. 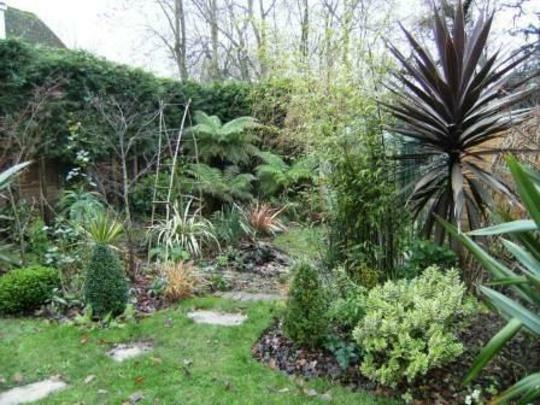 I think your garden looks fine even in december, but i cannot wait till it's spring again, dont know about xmas i'm looking forwould to a week on sunday, its the shortest day, then the light nights start to come back. The shortest day. Now I can get excited about that too.